This week I read a book. I picked up a big fat 300 page tome on Tuesday morning and Friday night I finished it. Very few books have been hard to put down, like Harry Potter or Ready Player one, but this wasn't that. I really just wanted to try and see if I could do it. I'm trying to get more into books and I have a huge stack of unread books, especially from New York Comic Con, so I wanted to see if I could read a big fat book in a week. I can. 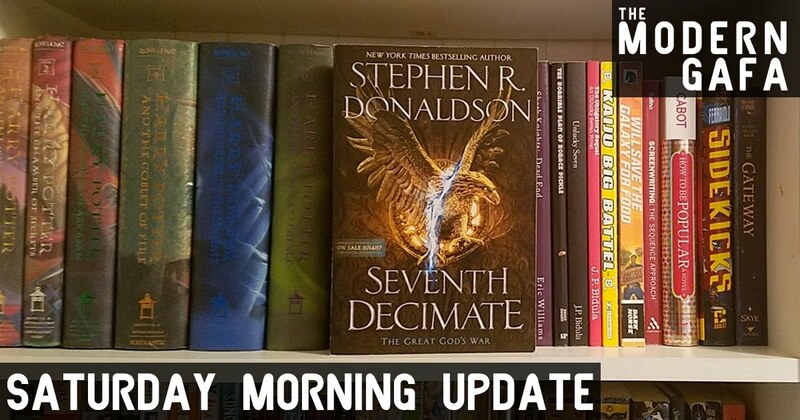 At 300 pages with a lot of places where paragraphs seemed unnecessarily broken, The Seventh Decimate by Stephan R. Donaldson is more of a medium sized novel. Some bigger stuff might take me longer and some middle grade stuff should be easier, but I can do it if I try. Full review of The Seventh Decimate coming soon!